Mother Nature holds nothing back when it comes to storms. It can sometimes take years for people to recover from hurricanes and tropical storms and the resulting flooding. 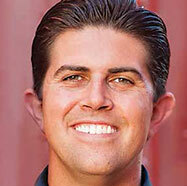 Some of the most difficult installation challenges arise in the wake of natural disasters. And when water is present, these projects must be approached carefully and systematically. If not, subsequent failure is highly likely. Access floors have come of age. In the 1960’s, raised access floors were a necessary evil for main frame computer rooms. These spaces needed a flexible flooring system for wire and cable management, and the natural plenum created under the floor was also used to distribute air to cool computers and other equipment. The floors were more functional than attractive, unless you loved the industrial look. 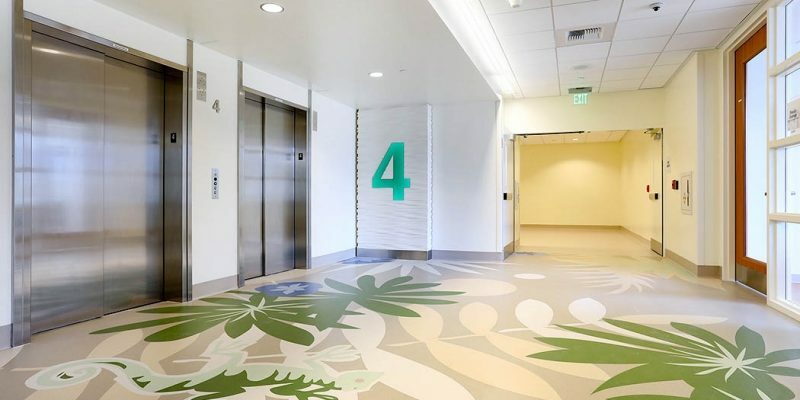 Today, the “information generation” demands connectivity everywhere in the workspace and the flooring industry has responded with access floors that have more benefits, versatility, options and better aesthetics. 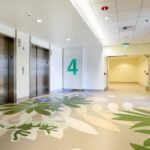 The new generation of access floors contributes to high performance building designs because the floors integrate features ranging from efficient HVAC distribution at occupant level to modular plug-and-play systems located at individual work stations. 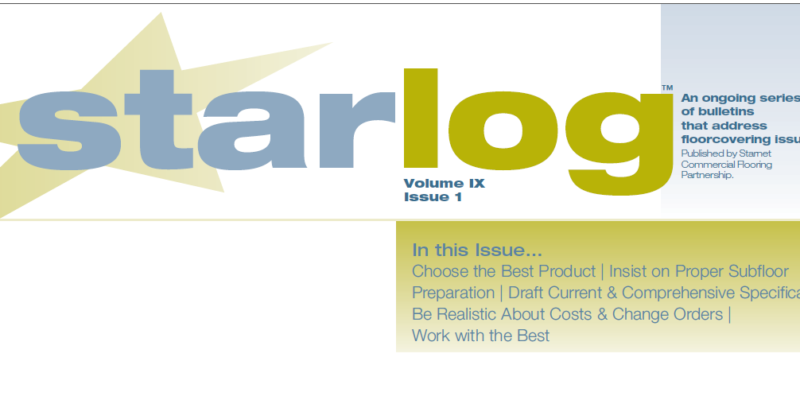 This Starlog showcases access flooring — the innovative choice for office, medical, education, high-tech and historical buildings. “Be prepared” is not just a Boy Scout motto. 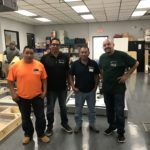 Being prepared for a floor installation project is the best way to ensure your project will flow smoothly and with the least amount of disruption to the overall construction schedule. It seems simple enough, but it’s easy to overlook a critical task if you’re not aware of what it is, why it’s important, when to do it and who is is responsible for getting it done. This Starlog provides an overview of some important pre-installation checklist items you can use to “be prepared” for your next flooring project. In a strong economy, it’s easy to justify using quality products and networking with top-notch vendors on every aspect of the job. This is even more important in a down or recovering market. High performance products manufactured by leading brands and installed by established professionals ALWAYS pays off in the long run. On the other hand, partnering with underperformers, be they products or service providers, can turn your project into a disaster and haunt your career for life. Why risk it? Starnet members don’t. 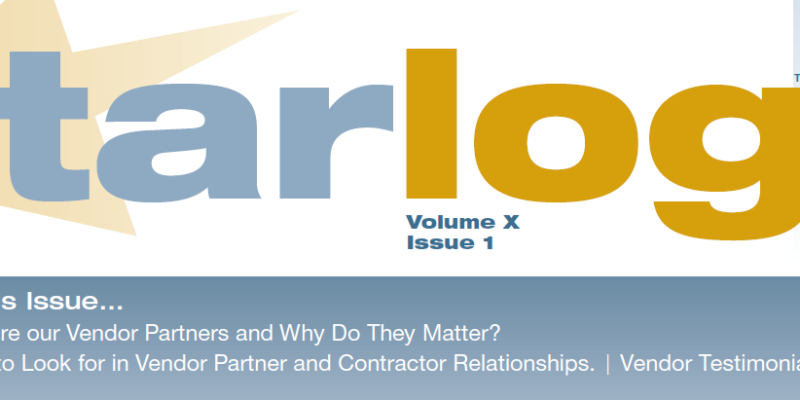 This Starlog provides insight into our vendor partner relationships and how that translates into helping us help you. What are some of the performance components that make carpet perform well? Although you needn’t be an expert on all carpet matters, a basic understanding of construction will help you choose a carpet that meets the physical and aesthetic needs of your space. Plus, a working knowledge about construction will help everyone on the project — manufacturers, designers, contractors and end users — ensure that the carpet delivers on everyone’s expectations. In A Tale of Two Cities, Charles Dickens opens with, “It was the best of times, it was the worst of times.” This story could be a parable for today’s business climate. The pressure to cut a corner here or there to stay profitable, or to find creative ways to get more work done with fewer people, is testing the mettle of many companies. Knowing this, it is more important than ever to be on the lookout for pitfalls that can derail your flooring project. 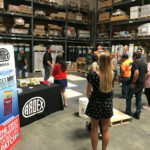 You can’t foresee every possible construction predicament, but you can, as the Dickens classic concludes, do a “far, far better thing” for your flooring projects by focusing on a few key areas.